What sparks are generated in the collision between contemporary art and religious cultural folk festivals? With the Tainan tradition of the kau-puê companionship realm as a starting point, the 2017 Soulangh International Contemporary Art Festival, Kau-Puê, Mutual Companionship in Near Future emphasized three levels of contemporary kau-puê companionship: the skillful techniques in creativity, the interactive techniques in ritual ceremonies, and the self-organization techniques in the political structure – in hopes of transcending the rigidity in the production systems of existing arts institutions and temple culture, to open up a new horizon for arts festivals, located between contemporary art and folk art. The exhibition began by presenting the arts festival preparatory processes and methods including presentations of field research, editorializing, and forums over the course of over two years. In 2017, exhibitions of grand temple murals, large-scale door gods, work drafts by master painters, door god door panels, carved wooden temple plaques, photography, design, architecture, objects, videos, collages, archives, paintings, sculptures, paper art, interactive installations, image corridors, and works of various media and spaces were presented throughout the cultural park. In total, over 38 teams of national and international artists participated in the exhibition across 10 gallery spaces, 4 corridors, and 10 urban floating island structures. Born in Chiayi, Taiwan, GONG Jaw-Jiun was awarded the Academia Sinica's Junior Research Investigators Award for his book, Dispositif of Body: Merleau-Ponty at the Limits of Phenomenology. In recent years, he has been engaged in the work of curating contemporary art exhibitions, including the Eslite Gallery Exhibition Are We Working Too Much? 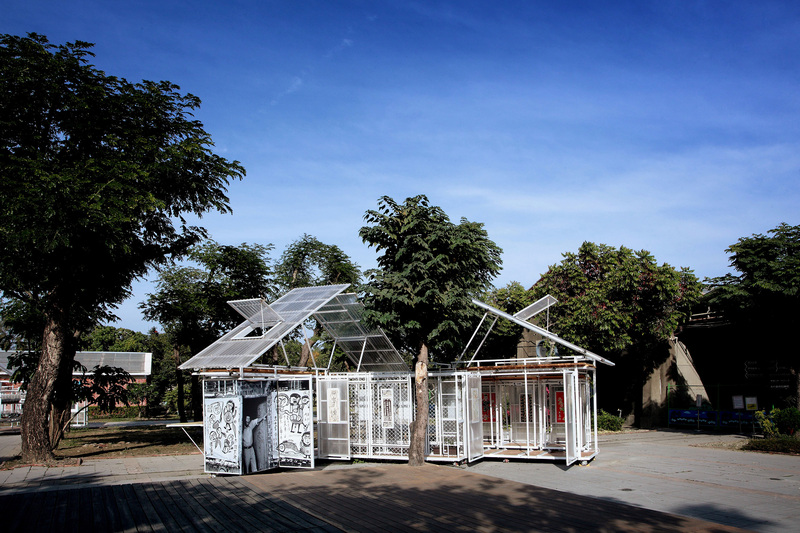 in 2013; the Absolutely Impure exhibition for the East-Asia Forum: POST News/Art Against Black Box Tainan/Tokyo Exchange Project, as well as The Return of Ghosts for the 4th Taiwan International Video Art Exhibition in 2014; and the Kau-Puê, Mutual Companionship in Near Future exhibition for the 2017 Soulangh International Contemporary Art Festival. 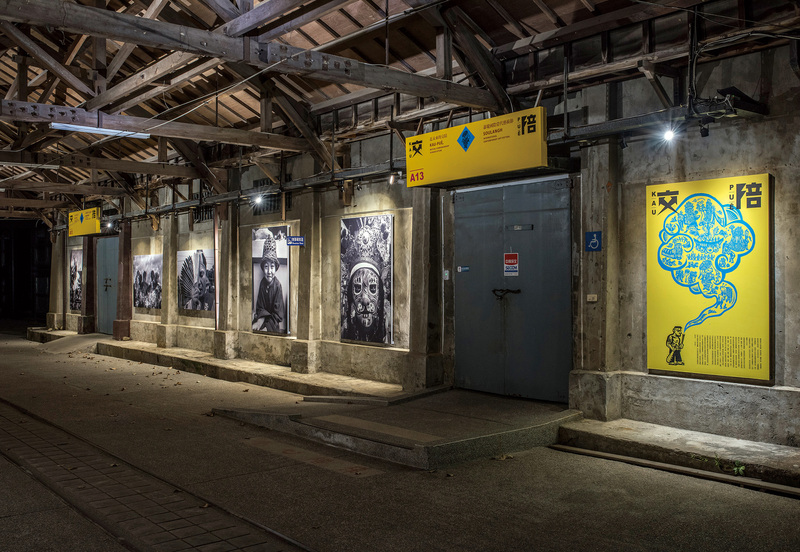 Born 1972 in Chiayi, CHEN Po-I has participated in "The Pioneers" of Taiwanese Artists,1971-1980 exhibition at the National Taiwan Museum of Fine Arts in 2014; the Lendemain chagrin exhibition at the Maison Européenne de la Photographie in 2016; and the Kau-Puê, Mutual Companionship in Near Future exhibition at the Soulangh International Contemporary Art Festival in 2017. He was recommended as a participant for the Residency East-Asia Dialogue (r:ead) #4 in 2015, and was recipient of the 13th Annual Taishin Arts Award for his work Home: Records of the Hongmaogang Village Relocation. Chung Yuan Christian University Department of Architecture associate professor Eric Chen received his doctorate in art from the National Tainan University of Arts, and is currently principal architect at ArchiBlur Lab. He has long explored the development of alternative scales between the body and the landscape to redefine architecture; time and again, attempting to experience the fundamental value of objects through realistic corporeality so that architecture becomes a human environment. Some key creative practices include: Kyoku (Bridge House) at the 2016 Setouchi Triennale Art House Project; Urban Floating Islands; Suspended Mountains, Floating Bridge in France; Threshold of Being (commissioned by The Palestinian Museum); and Collectivism, 2016 (Taipei Biennial 2016 and Sharjah Biennial 13). Born 1966 in Pingtung, CHEN Yen-Ing has served on the team at the Taipei Fine Arts Museum Exhibition Department, and as editor of Art & Collection (Artco) Monthly magazine, as well as editor-in-chief of the Art & Collection Group and Artco Kids magazine. She is currently an independent freelancer. Born 1967 in Kaohsiung, HUANG Chiung-Ying received her master’s degree from the National Sun Yat-sen University Institute of Public Affairs Management, and has qualified under the National Higher Level Examination for Category Two Education and Cultural Administration. She was involved in establishing a Preparatory Office for the Wei Wu Ying Center for the Arts and for the Dadong Arts Center, and in planning executing projects to firmly establishing regional arts and culture. She currently serves as section chief of the Cultural Park Management Section at the Tainan City Government Cultural Affairs Bureau where she oversees the management of the Soulangh Cultural Park, the Tsung-Yeh Arts and Cultural Center, as well as preparatory planning for the Shuijiaoshe Cultural Park. Kau-Puê is an innovative long-term research-based and collaborative project instigated by curator Gong Jow-Jiun together with an interdisciplinary curatorial team. The group has developed a new format for cultural production inspired by ‘kau-puê’ temple networks, with their multiple ‘post-religious’ political, economic and social dimensions. Through this project, the curators and an expanding constellation of collaborators and participants have successfully forged a home-grown methodology based on anthropological and experiential understandings of Taiwanese culture. They have created an ongoing platform for exchange and cooperation that is able to generate many different forms of event (discussions, publications, exhibitions) based on networks of relationships and able to respond to local conditions as it moves from place to place. 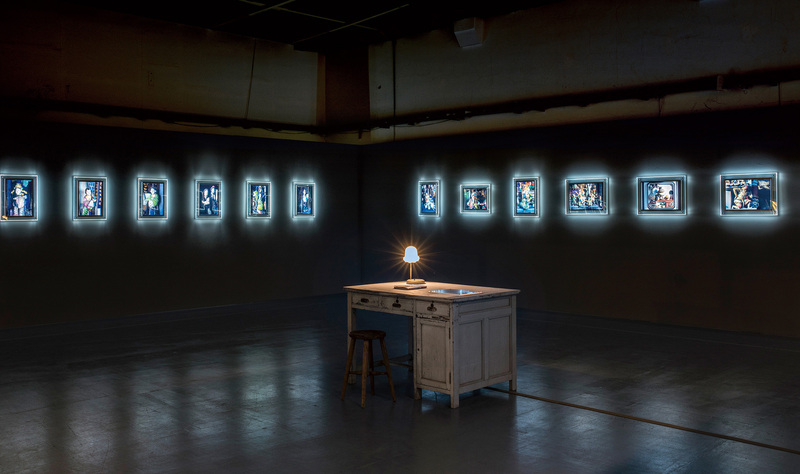 Taking as its starting point the history of photography in Taiwan, the project constructs an aesthetic dialogue between contemporary art, ‘folk culture’ and belief, demolishing the boundaries between art and craft. 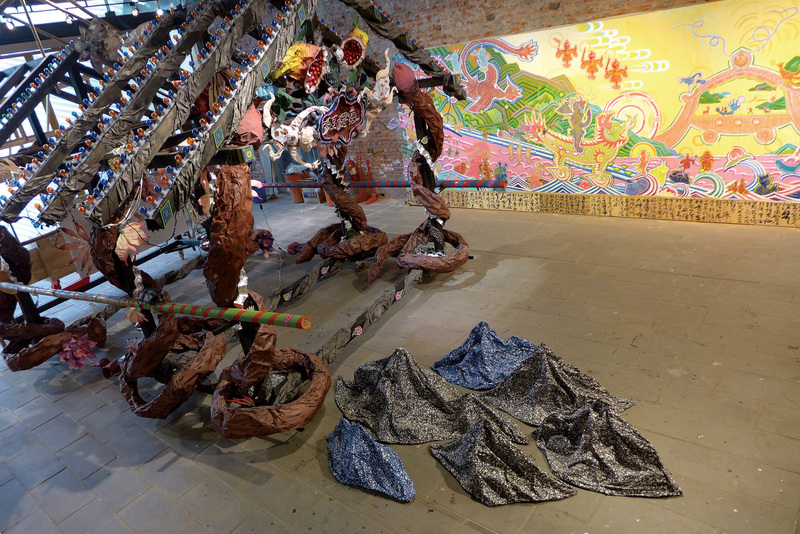 It creates a fresh line of inquiry into art and vernacular culture– a topic that generates abundant discussion – and enriches the landscape of contemporary art in Taiwan.